2006 Nissan Frontier SE Crew Cab--4x2 (Rear Wheel Drive)--Graphite Metallic w/ Tan cloth--Carfax Certified One Owner--this Frontier comes with silky smooth automatic transmission, 4.0 L high performance engine, alloy wheels, ABS brakes and 126,000 miles. 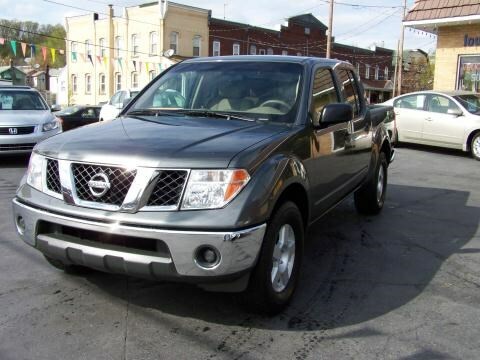 Clean, practical and dependable, this affordable Nissan Pickup comes freshly serviced and warranteed. Ready for any and all Winter Projects!